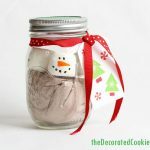 Need a cute homemade holiday gift idea? 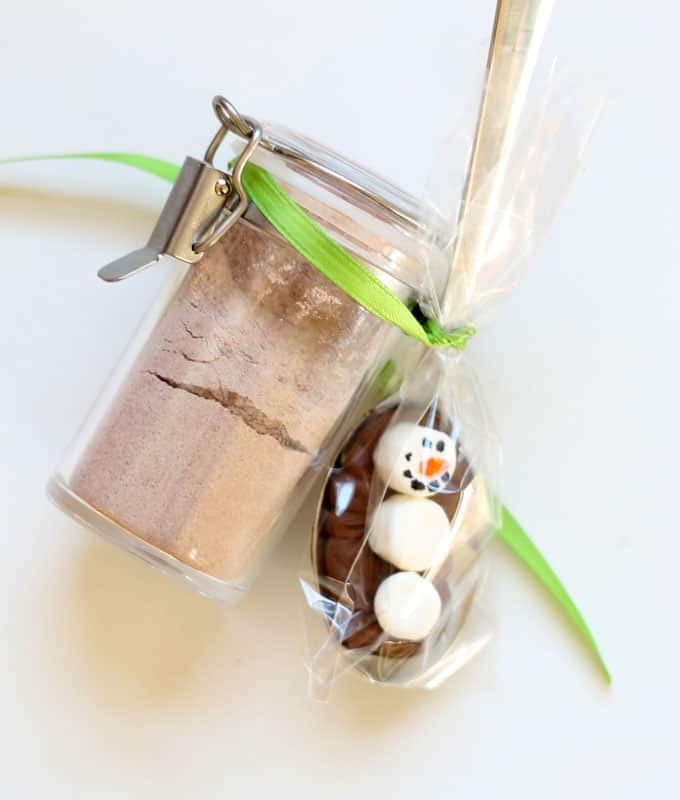 Or a DIY stocking stuffer? 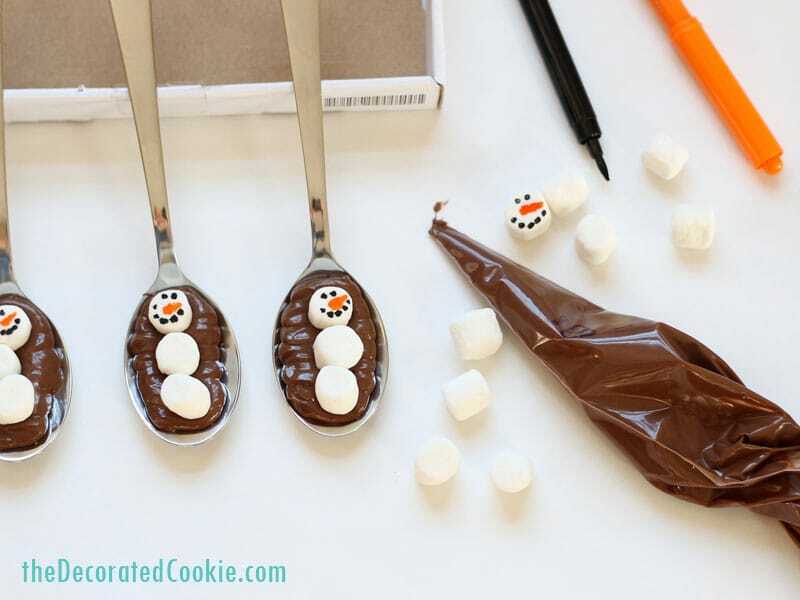 Try these simple marshmallow chocolate spoons for hot cocoa. 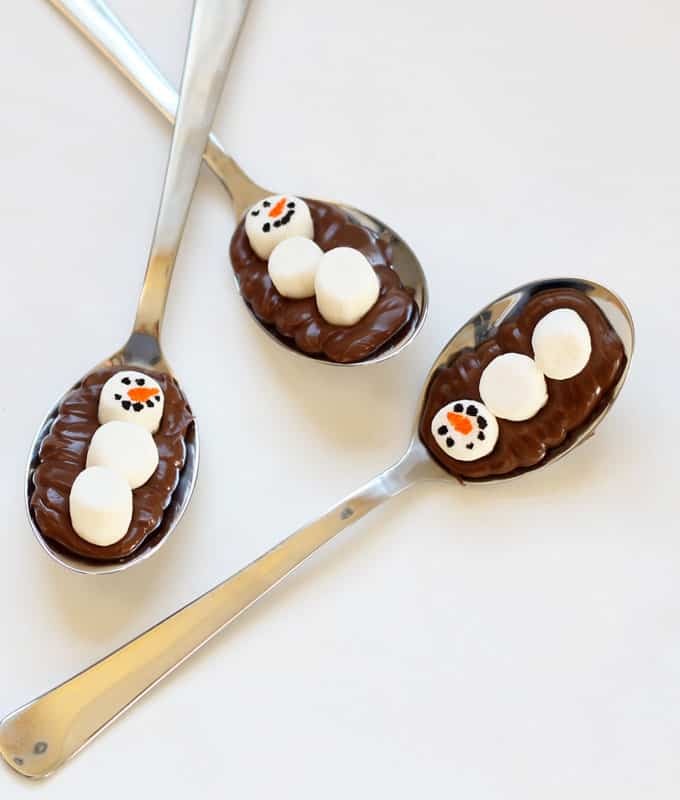 These super simple mini marshmallow snowman chocolate spoons are the cutest little gift idea. 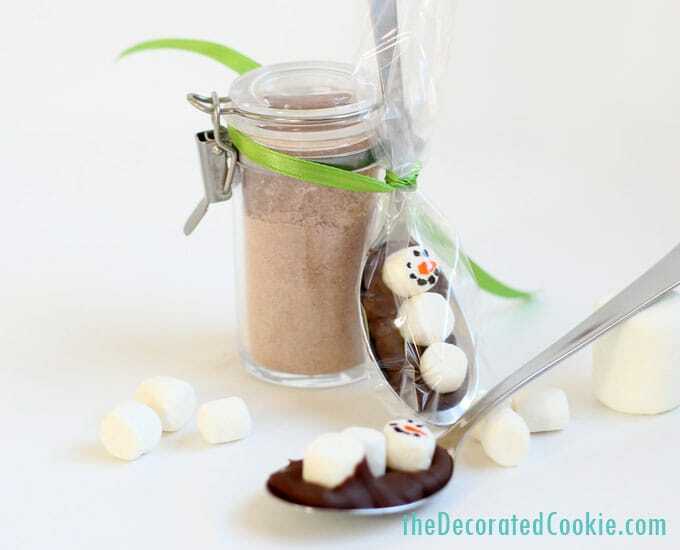 Package with a mug or a container with a single serving of hot cocoa, and ta da. Cutest. Little. Gift. Idea. 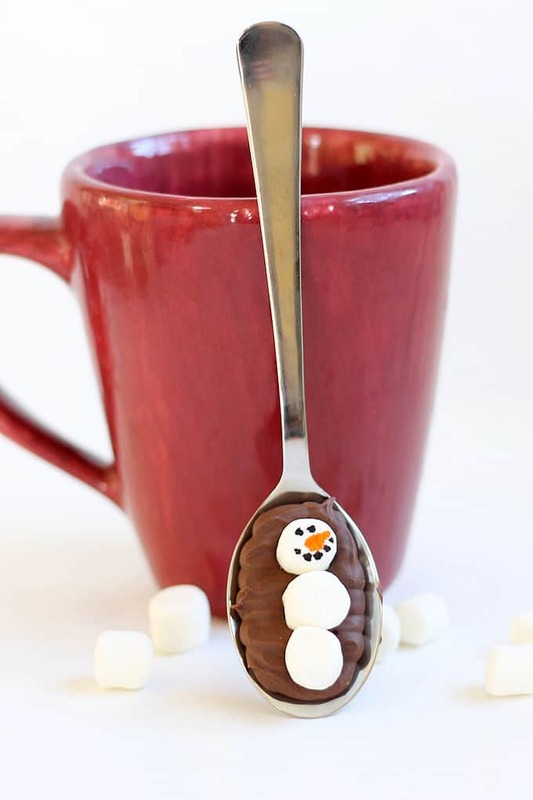 You can use any mugs, containers, hot cocoa, and spoons you like. Shown here, I bought inexpensive spoons from IKEA. The little spice bottle is from The Container Store, but you can buy plastic spice bottles from amazon, too. The cellophane bags I used are actually pretzel treat bags. I cut a bit from the tops to make the bags shorter. 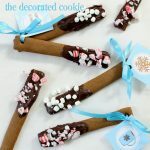 Instead of snowmen, you can also add crushed candy canes, sprinkles or any decoration you like. 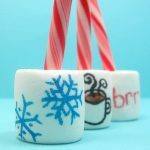 If you like this idea, you’d also like these marshmallow snowman hot cocoa mason jar gifts. Here are some video how-tos, or see below for the written instructions. 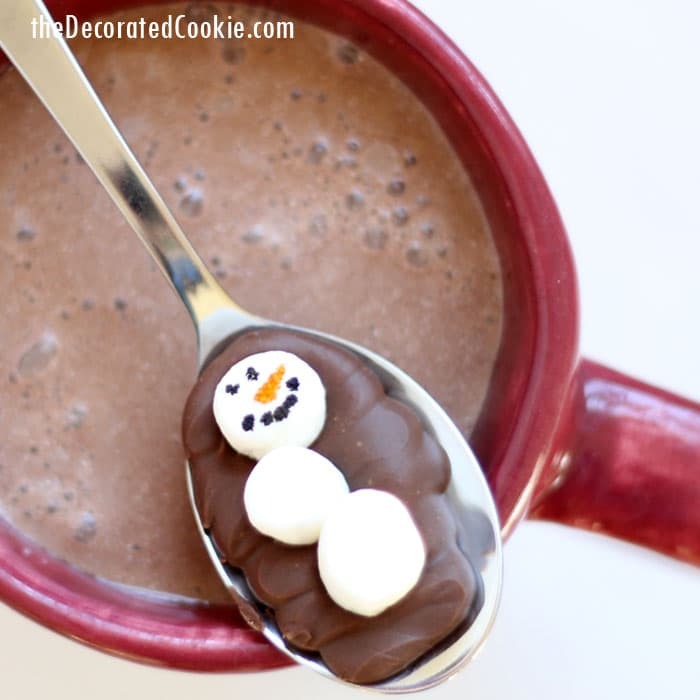 what to do: Draw a snowman face on a few mini marshmallows and set aside. In a microwave-safe bowl, melt the chocolate chips at 70 percent power for 90 seconds. Stir and continue to heat at 15 second intervals until the chocolate chips begin to melt. Stir and use the residual heat to fully melt the chips. Pour into the disposable decorating bag and snip 1/2-inch from the tip. Prop the spoons on a piece of cardboard or other object to keep the bags raised a bit. Pipe chocolate on the spoons. 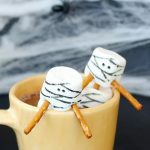 Immediately add a snowman face and two other mini marshmallows. Let the spoons set well before packaging.